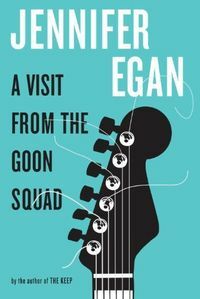 A Visit from the Goon Squad consolidates both Jennifer Egan’s craft and capacity for psychological insight and verifies her as a consummate polyphonist. 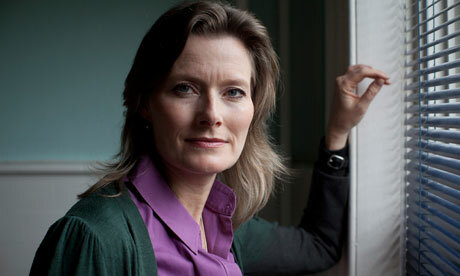 Her novel-in-stories describes a sustained discontinuous trajectory which toggles and stutters and strobes through narrative linearity, through modernist and contemporary storytelling convention, through time and memory and event and human betrayal and creative ambition until we appreciate that her book, in both formal innovation and in thematic engagement, is like the music it interrogates: a valedictory lament for the once-unnegotiable promises we’ve all made in the throes of a painful though purer youth. 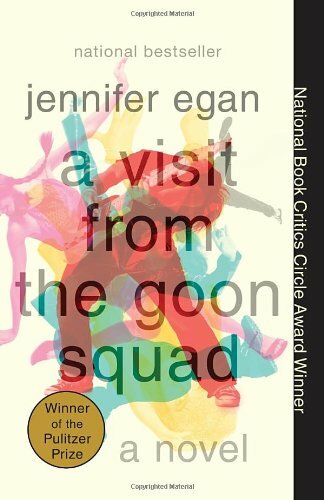 Egan’s novel is structurally kaleidoscopic, even if its stylistic accomplishments aren’t as conceptually audacious and sui generis as might be anticipated in a work of literary fiction such as this one, so oft-praised for its aesthetic virtues as to defy immediate critical comparison: in many ways, the reader is compelled to accept that each character presented throughout the course of Egan’s narrative is invested with a keenly-observed psychology, but it’s rare that the language employed to convey this interiority is used to individuate the characters in question. This is perhaps the book’s most evident flaw: the panoply of shambling, appetitive souls populating her novel aren’t afforded individually-dramatised voices, and so each successive chapter strives to foreground the unity of the assemblage over its respective parts — an authorial imperative which enforces a dazzling symmetry onto the disparate story strands, but an apparatus that by its inherent function emphasises the significance of similarity in each interleaving chapter. The opportunity for idiosyncratic or linguistically-unique wordsmithing is therefore lost in the democratising mission of the project — something that is perhaps, paradoxically, a failure in a book so energetically committed to championing and nostalgising the multiplicities and singularities and rigours of music in all its diversity. Nonetheless, Egan’s novel is a Möbius strip of narrative synergies — what the French semiotician, Gérard Genette, referred to as the metaleptic event — which thematically stand in for the long-tail societal changes which have seized the U.S. and abroad throughout the past three decades to bring about a state of technological omnipresence and globalised communication. Everyone in this novel knows everyone else, even though they might not discern the infinitude of their states of communality: that’s the entire point, for Egan strives to engineer relationships between characters so tangential and Talmudic that you might not initially recognise the holistic integrity such interactions offer the narrative whole; but as and when each interrelationship winches into place, A Visit from the Goon Squad reminds you of nothing so much as a futuristic Dickensian picaresque for the millennial Google state. In this way, Egan is mining the same writerly territory of social fracturing and universality as David Mitchell in his beguiling Ghostwritten, except that Egan is intent on administering her exhaustive eye on the way in which pop. culture stratifies communities and fosters identity. For the sprawling dramatis personae populating Goon Squad, popular culture is the bridge upon which discourse can be mediated between disparate parties, and music is the ever-flowing lubricant for any party. What I like about this book most of all is that Egan is unfailingly bighearted and empathetic to everyone seeking to evade or defer the goon of time: from husbands to wives to mistresses to children, from music executives to punk musicians to groupies to consumers, from marketing agency moguls to bisexual teenaged depressives in the throes of self-actualisation, from genocidal generals to disenchanted art historians to semi-autistic chroniclers of familial malaise to drug-abusing millionnaire bon vivants on African safari, from bipolar gossip journalists with literary aspirations to naïve film starlets resigned to the fossil bed of Hollywood, from existentialist fishermen to soul-gnawed personal assistants to impresarios of social media, this is a novel to encompass everyone by degrees. Perhaps it’s an artefact of Egan’s wizardry that when the song is playing long enough, everyone lending their tongue to the chorus sounds alike; and yet when Egan’s music succumbs to its final pause, all that’s left is some dreamlike afterimage or sonic thrum, a haunting in your heart to console you, before the world begins to rotate anew and the song resumes its playing.